Top chefs, signature dishes, genius? “What can home cooks learn from the chefs who find inspiration in so much of what they see, from unloved produce to “rubbish” cookbooks? Oyster ice-cream. Aerated cheese. Medicinal salads. Food that causes diners to exclaim “What the …!” then follow up with “Wow!” How do these dishes make it to our menus? The answers are myriad. Family histories and treasured cookbooks are common sparks for inspiration, but some dishes spring from long walks and big chats, deep dives into Google, and sketchbook scrawls that lie dormant for years then push to the surface. Connections to particular ingredients often hold the key, not just juicy fruit or vegetables with vim, but also a connection with those who grow them. We asked some of Australia’s most creative chefs where their ideas germinate and how they travel the tricksy path from concept to plate. Sometimes I think an idea might be ridiculous. But whatever it is, that idea has its time. 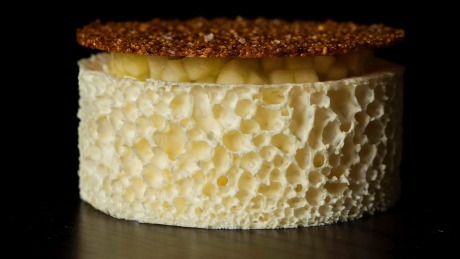 One dish that might have pushed past 99.9 per cent is the Aerated Cheese. “It drove Martin mad for many months,” says Wild. Why aerate cheese, anyway? “It does sound crazy,” admits Benn. “I wanted to make our cheese course more interesting and playful and, because it’s part of a tasting menu, I wanted it to be lighter.” He took his idea to the team, “they looked at me like I’m mad”, and the process began. After countless blobs of goo and much investigation of temperature, fat and salt levels, a recipe was concocted. 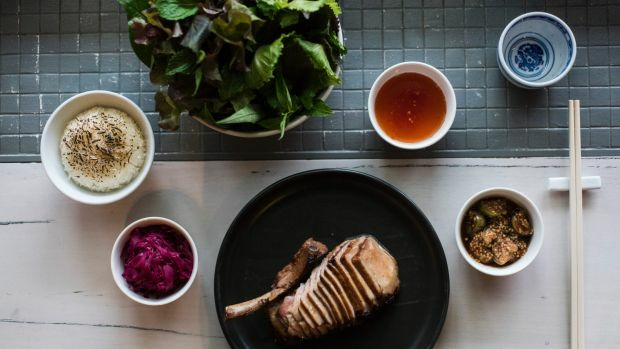 For chef Thi Le, creating dishes for Melbourne’s Anchovy is about finding the tasty interplay between her Vietnamese heritage, fine-dining training and thirst for knowledge, especially about little-known ingredients and cooking methods. When figs came into season, she pondered what to do with them. Her menu is largely inspired by Vietnamese and Lao food but figs weren’t a feature of those cuisines. “Then I stumbled across an internet article which mentioned different figs around the world,” she says. “I went down a rabbit hole of fig stories and discovered that one of the oldest varieties came from central Vietnam.” Suddenly she was reading – with the help of Google Translate and her mum – about enormous one-kilogram green figs served in a palace dish in imperial Vietnam. It felt like permission to play. The Iced Oyster at western Victoria’s Brae is polarising: puzzling to look at, bracing to eat. 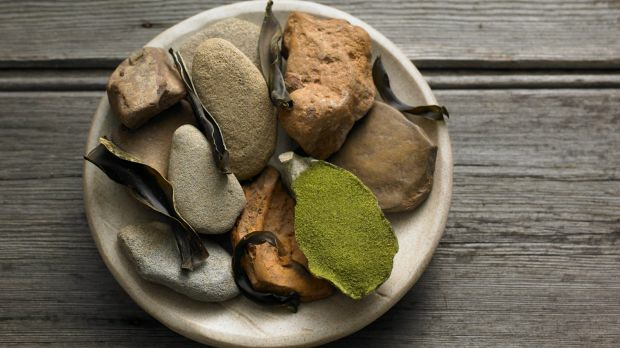 An oyster shell is filled with oyster-flavoured ice-cream topped with a green powder of sea lettuce, dried oyster and sherry vinegar. It comes out mid-meal as a weirdly beguiling palate cleanser. So how did it come about? Chef Dan Hunter puzzled over how to draw three of his obsessions together. Firstly, the beach in cold weather. “I’ve always enjoyed the Great Ocean Road in winter,” he says. “It’s powerful and energising.” Second, ice-cream. Even in biting wind and sideways rain, Hunter finishes seaside excursions with ice-cream. Thirdly, oysters, and particularly the notion of seducing oyster avoiders. How do you get them to feel the love? “People hate oysters because of the texture, not the flavour,” he says. “The flavour is the ocean and everyone loves being by the ocean. What else does everyone love? Ice-cream.” Ipso facto, oyster ice-cream. O Tama Carey (ex-Berta) has a Sri Lankan mother and has travelled and cooked there throughout her life. Her new restaurant, Lankan Filling Station, will open in Sydney’s Surry Hills in June. 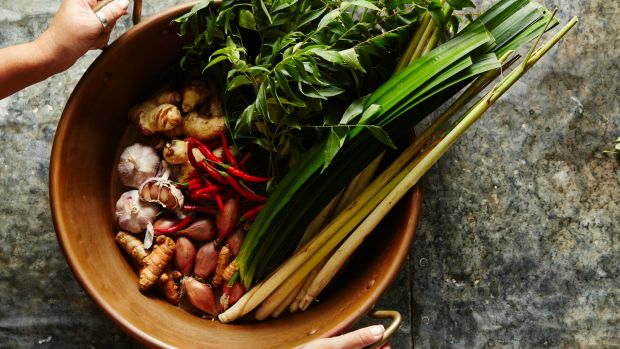 Carey wants to transport the energy, spice and balance of Sri Lankan street food to Australia, but she’s also drawing on her experience cooking Chinese, French and Italian menus, and what she calls “an Australian sensibility, where you go for those cleaner flavours”. To develop her new menu, she trawls her sensory memory bank for Sri Lankan elements then teases out her spin on it. Becerra and his chefs tasted six different varieties with farmer Peter Chambeyron. “It was incredible to realise how much effort and work farmers put in and how passionate they are,” says Becerra. “Sometimes us chefs in the city disconnect with the countryside, and we miss that connection to the produce.” He left with bags of golden delicious, royal gala and granny smith to play with, but also a powerful wish to honour Chambeyron’s toil. 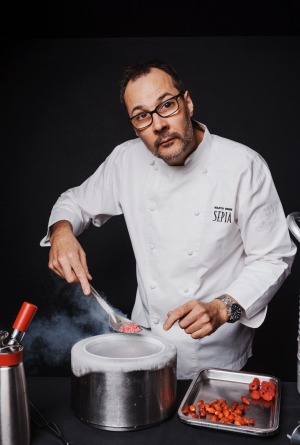 A no-waste approach led Becerra to dehydrate the skin and turn it into a powder for garnishing. Also on the plate, biscuity chestnut pastry and barely sweet goat’s cheese ice-cream, bringing the flavours of the High Country together on the plate. 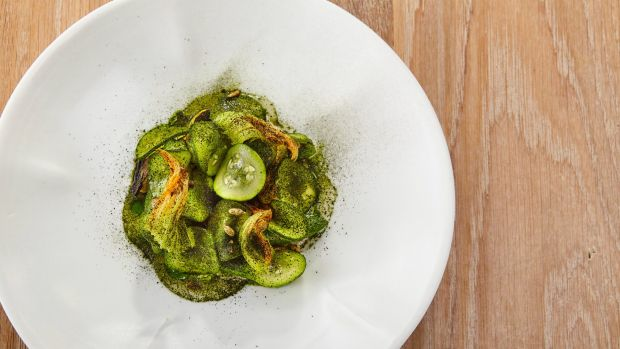 Zucchini, sunflower and yeast sauce dish by Brent Savage. What about the rest of us, those of us without notebooks full of ideas, farmers to visit, and brigades to clean up our messy experiments? Is there anything we can glean from these chefs and their creative process?